« CHERRY VALLEY WOMEN’S INSTITUTE’S PIE AND BAKE SALE! A family in our community needs our help! 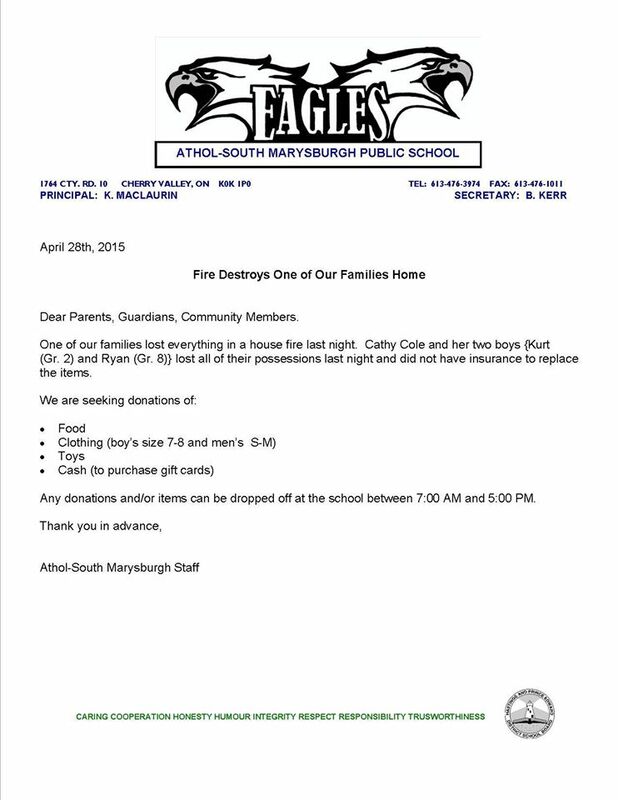 Athol-South Marysburgh School. Can you help this family? Open 9 to 6 Sunday. We have furniture in our garages that we can donate if they want. There are two couches in the yellow garage they could use for transition as they are a little rough. There is lots of other stuff but I don’t remember it all. Won’t be down till later May. If Glenn or someone wants to go in and see, they can tell us what’s there and we can decide then. There’s stuff from our move we will be donating or yard selling. We will certainly drop off something at the store for the family. What a terrible thing for them to go through.